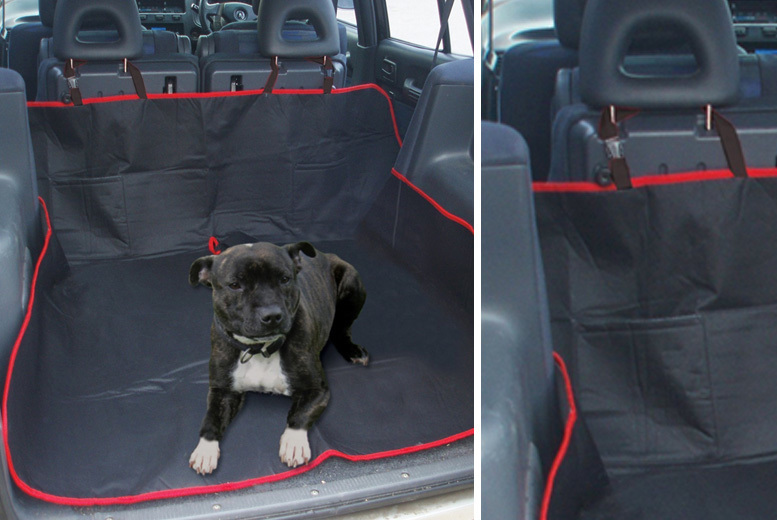 Get a heavy duty car liner! In a durable hammock design. Made with easy-clean water resistant fabric. With adjustable straps to fasten securely. Perfect for the rear seat or boot. Protect your car from pet paws!